We’ve recently migrated our application from Weblogic to JBoss EAP 6.4 and facing one issue of partial JSP render. Brief Overview of the Application Flow: In "Reports and Analysis(name of the application)" we have several Tabs from where we select the criteria and generate Reports. On submission reports are queued and processed sequentially. 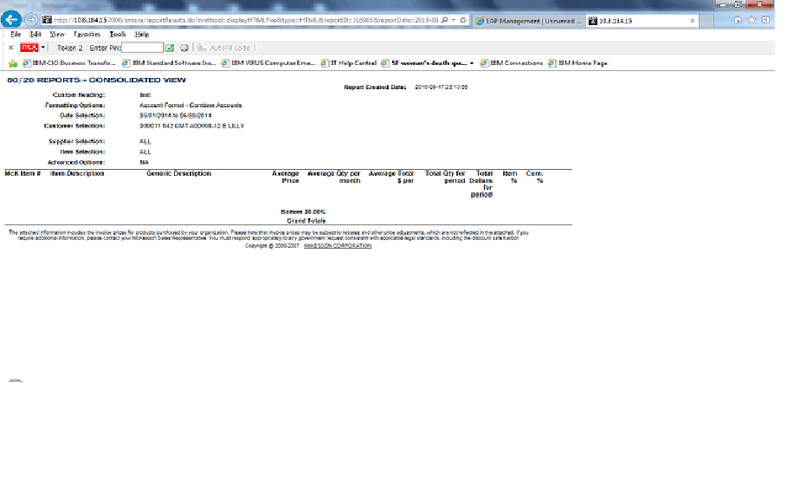 After the report is processed it is displayed in HTML,XLS,PDF and CSV format using jasper templates. Issue: XLS, CSV and PDF reports are getting generated successfully with complete display of data but HTML format has some aberrations. It is not getting rendered as expected . 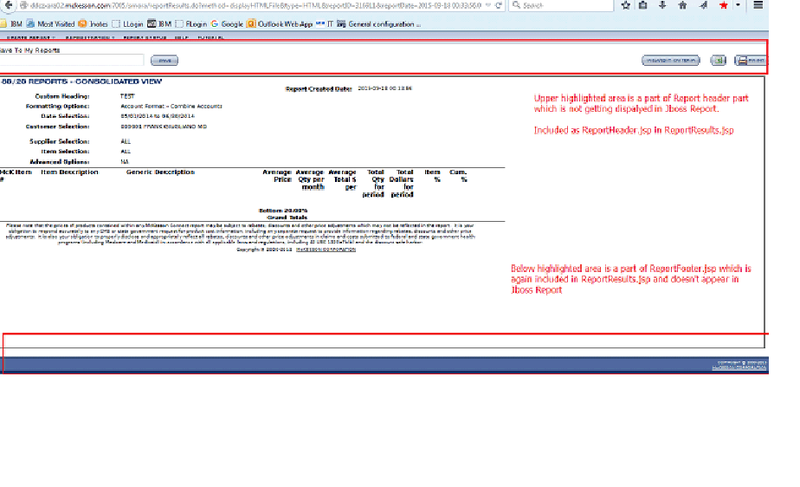 Report content appears fine but other included JSP’s in ReportsResults.JSP fail to render successfully.. Please refer below images for more clarity. · Increased JSP page Buffer. · Used “Include” directive as well but didn’t work. · Modfied JSP configuration of Jboss to set trimDirectiveWhitespaces="true". scriplet code that prints the output data inside a section. But included jsp's are not appearing as an outcome only HTML_OUTPUT content is getting displayed. For reference, I’ve attached the jsp files too. Please let us know if you need further detail. Appreciate if you can lend a helping hand in solving this problem.